Geeks on Tour is member supported. This FREE newsletter is made possible by our paid (Premium) members. 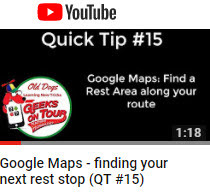 Member benefits include access to over 400 tutorial videos, ‘Ask the Geeks’ Forum, Show Notes for our weekly show, “What Does This Button Do?” and all our eBooks including Mrs Geek’s Guide to Google Photos. 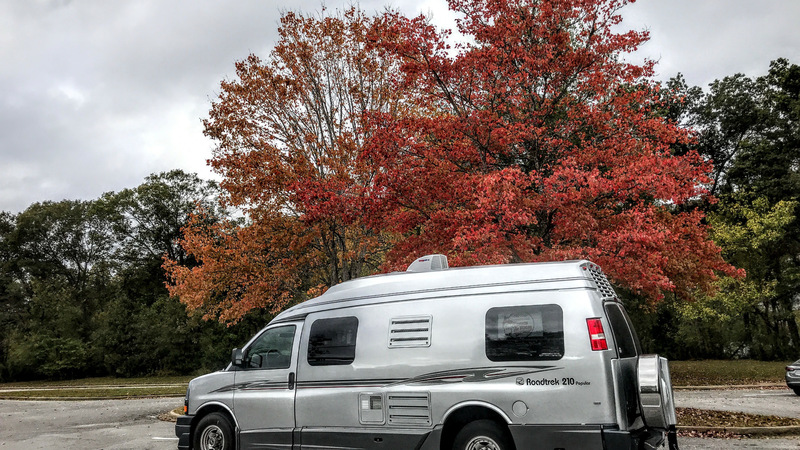 We packed our little camper and left Fort Lauderdale driving to Heber Springs Arkansas where we were booked to do our seminars for the Workamper Rendezvous. The week went well and they’ve already asked us to return next year because they got such good feedback about our seminars. After leaving Arkansas, we headed north. We had extra time before our next gig so made a side-trip to Kansas City to see our musician friends, Victor and Penny play in their hometown. Here’s a little movie we put together. November 1 was our final scheduled seminar for this season. Moline, Illinois and theQuad-Cities Computer Society. We’ve presented for these folks 5 times before and they always make us feel so welcome. See our October photo album for more pictures, and our October Blog for the rest of the story. Episode 127: A $59 Smartphone? December – we’ll be in Fort Lauderdale, Florida. Home for the holidays! We are available for speaking engagements in the local area. Here’s our speaking request form. Members of Geeks on Tour are a diverse group. We love getting to know them a little better. We think you’ll like getting to know LuVerne as well. World traveler by land and by sea, early technology adopter, and life-long-learner, LuVerne Underhill is also a musician, SCUBA diver, and was a speaker of French! Her many interests and talents have led her to living an exciting life. I did not use Black and White film! I didn’t set my digital camera to take black and white photos. I didn’t even use my phone’s capability to take photos in black and white mode. I took color pictures. A few of these, like the lighthouse, are even old color pictures I chose, then I used very simple editing tools to create the B&W images.